In 1995, Key Point, New York native, Jeff Pulver became interested in internet telephony. Over the years, Mr. Pulver has been credited for founding Spreadsheet Solutions Corp., while working at a Long Island accounting firm. Later, he became responsible for co-founding the voice over internet protocol that we know as Vonage, while an assistant administrator at Cantor Fitzgerald. Pulver is also known for inventing the CellSocket, which is a device that allow users to receive and make cellular voice calls on a standard or home phone. Today, Pulver is considered as a leading expert in the technology industry as an internet entrepreneur of streaming audio and video technology, while also being active as the chief executive of pulver.com. Recognized as an accomplished writer, Pulver is the chief writer of the Pulver Order, a publication that was adopted by the Federal Communications Commissions in 2004. 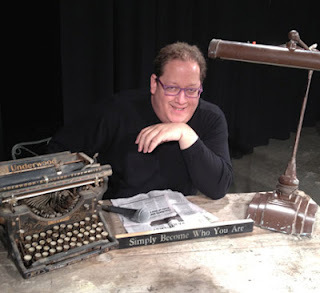 I (Consciousness Magazine) had the opportunity to interview Mr. Jeff Pulver as he is organizing his next 140 Conference “The State of Now”. Here is what the pioneer of VoIP had to say. Tocarra Eldridge: What influenced you to pursue The State of Now? Jeff Pulver: Well, it’s a long story. The experience behind the State of Now was to try to understand the effects of what was happening with the internet back in 2009, and how the platforms like FB and Twitter were changing the way people connect in general, rather than the larger effect on humanity at large. Specifically, back then, what got my attention to begin was the Ashton Kutcher CNN race to 1 million followers, which I thought was kind of silly at the time. I wasn’t quite sure of what to think of all that. What I realized is that the world had changed. I realized that we were living in different times. So, I decided to do a conference to look at the effects of Twitter as a platform on things like the media, advertising, politics, and celebrities. Over the past four years, the conference changed and evolved a little bit. What we discovered is that everyone has a voice, and their voice matters. The conference has been bringing together people from all over the world, who are either discovering their own voice or wants to see how other people are learning from the state of technology today. TE: You founded the Spreadsheet Solutions Corp., Vonage and CellSocket, just to name a few. What was your inspiration of becoming a mastermind when it comes to internet communication? JP: I never really set out a goal to be a mastermind of anything. In fact, everything that I’ve done has come through discovery, making good mistakes and from my shyness and my loveliness, as much as my desire to see how the world is changing. Each one of those companies was the result of the pursuit of that moment and time. With spreadsheet solutions, I did become one of the leading experts in spreadsheets 20 years ago, at a time when maybe that mattered. What I did was Von, and then Vonage…and to this day continuing my pursuit of internet communications. I am a fan of disruptive technology, things which challenge status quo. My inspiration really was to push Vonage. I think that the more connected people are, the better chance we have to communicate; and the more we communicate, the better we can live. If we all lived in a connected planet and more people spoke their minds, then maybe we can get along better. Part of that inspiration was leveraging what was in front of us and doing something rather than talking about it. TE: As the co-founder of Vonage, how did this VoIP come into existence? JP: The technology itself came into existence in 1980. Throughout the 80’s it was almost secret technology used to defend. In the early 90’s this core technology became commercialized. The company was profoundly at an effect on the future of voice communication. It’s a company that was based in Israel with Vorkuta. And Vorkuta launched the first successful consumer application that allowed people to communicate freely on the internet. Vonage adopted these technologies known as Voice Over IP. Vonage, when I was involved, was not inventing anything. It was more of implementing technologies that were evolving. TE: Your company pulver.com has a major influence on the cyber world. What do you envision for your company 10 or 15 years from now? JP: I don’t know. It evolves. I think we will continue to be there as the use of the internet in related technologies to change the world a little bit everyday. The last 15 years has been very exciting. The change has been paramount to the stuff we did 15 years ago and has resulted in an evolutionary change in the way we communicate. I have had some influence as to how that happened. I would like to think that I could continue to have a voice and speak out when needed to protect the future, should it be challenged. TE: As a leading internet entrepreneur, would you like to briefly give any tips that may be effective to businesses in regards to the importance of the social media network? JP: Sure. The most important thing is to discover who you are; discover your voice. Before you go and represent yourself on the internet, you need to know your identity. You need to understand the brand you represent, who you are, what you’re doing, why you are there and who you want to connect with and when. You need to learn how to listen. Too often people broadcast messages without hearing anything. Too often people say ‘good morning how are you?’, and they’re not even plugged in long enough to listen to the answer. They just continue to ramble on. To be successful in the world of social media, if you are a business, requires listening first and then engaging. When you are engaging, remember that there is a humanization process. Brands are no longer just nameless faces, logos or press releases. Brands have people behind them. If you represent a brand in social, there’s an emotional element which needs to be addressed. Ignoring it is a mistake. And understanding how emotionally connected you can be, and understanding how healing you can be, is something that only time will tell. But rejecting the idea of having feelings is probably a mistake. Really, if you listen, connect, share and engage inside and you are communicating and not just broadcasting…you have a much better chance to be successful in your social media efforts. TE: What business advice would you share with a start-up company who is looking to profit big on the web? JP: It depends upon what they are trying to do. There’s lots of ways to make money. Some of the most profitable businesses on the internet today are those that are profitable doing what people used to do off the internet. If you give yourself a chance to discover your idea and nurture it and mature it, and don’t force business models early, you have a much better chance at being successful. Most people are not born with a business model or college major in there head. Most businesses in the world that are successfully well known businesses are not successful doing the thing that they set out to do. They changed over time because the market moved and they were able to move with the market…if you allow yourself the flexibility of exploring different ides. Once you figure out what that idea is and it works, then later on look to figure out how to monetize. Good mistakes are mistakes which change the world. The things we have in our everyday lives are someone else’s good mistakes. You can be hugely successful on the internet by just exploring the future. Just because it hasn’t been done before doesn’t mean that it cannot be done. Just because it has been done before, doesn’t mean you can’t do a better job at it. The world is open! TE: Would you like to add anything to the interview before we close? JP: Thank you for your time. And if people would like to follow up, they can certainly find me on Twitter. I am @Jeff Pulver on Twitter. And feel free to engage anytime they want to.